In this post, I would like to share with you all a wonderful product that I have recently been introduced to. 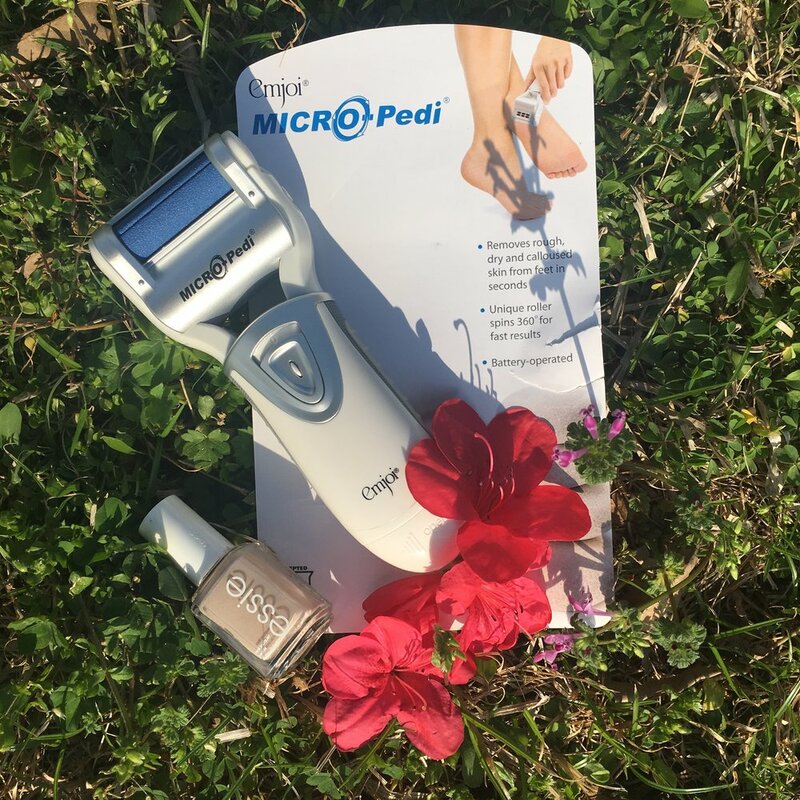 The Micro-Pedi by Emjoi has been my go to home pedicure device since receiving my trial sample in the mail a few weeks ago. With this product, I have been to achieve flawlessly smooth and soft feet and heels that mirror salon quality work in the comfort of my home. To help you guys visualize the Micro Pedi, I would describe it as a pumice stone attached to a roller that spins. It's definitely safer and more effective than using a blade or knife on you feet. The device is very easy to use, and it is battery powered. The Emjoi Micro Pedi can be purchased online at emjoi.com (as well as other select retailers and high end catalogs). They range in price from $29.99 - $39.99.